VIDEO & AUDIO CENTER / CENTURY CITY TO HOST DYSON SHOWCASE JUNE 14th and 15th / FREE SUPERSONIC BLOW-OUT APPOINTMENTS STILL AVAILABLE! 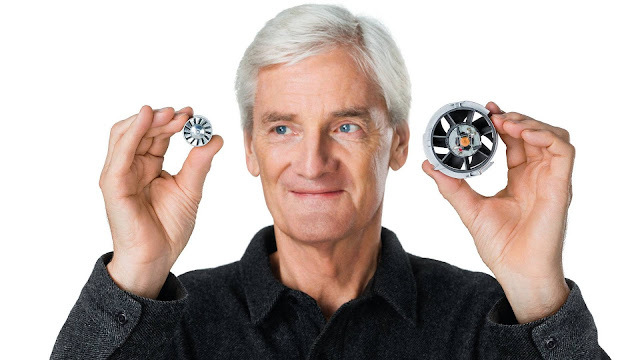 After a $71 million investment, years in development by 103 engineers and over 1,000 miles of test hair (that’s right, I said test hair), the Dyson Supersonic has been touted by its inventor as being “the hairdryer rethought” and the merits of the “rethought” Supersonic will be in full display this Thursday and Friday as Video & Audio Center’s newest Century City Technology Showroom will be hosting The Dyson Showcase featuring two professional hair stylists giving out FREE style blow-outs using the Dyson Supersonic. 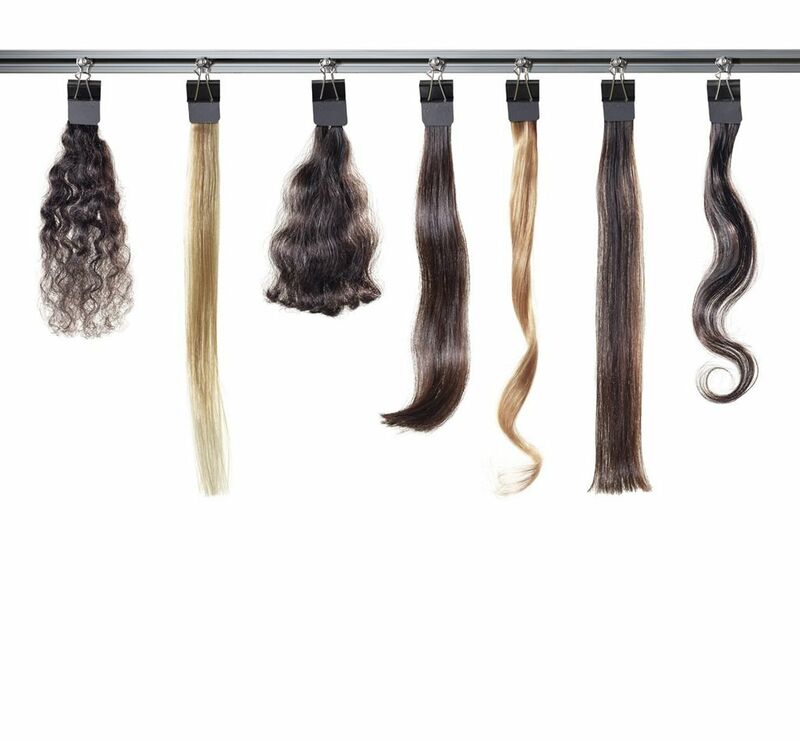 To set your own appointment, please register first online here: REGISTER, then call (310) 277-8282 to book your FREE Professional Blowout & Style from a certified celebrity hair stylist. 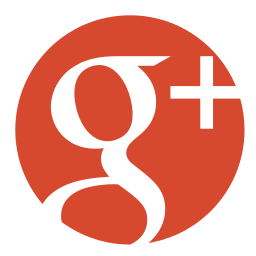 Appointments will run this Thursday, June 14th from 11am to 2:00pm and then again on Friday, June 15th from 11am to 8pm. Appointments are going fast, so please register and call fast. 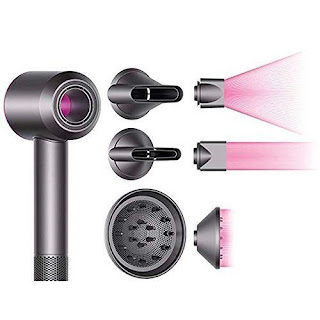 Conventional hair dryers can be bulky and difficult to maneuver, can blast air at high temperatures, which can cause extreme heat damage, all with the risk of hair being sucked into and trapped in the filter. Yet despite these well known limitations hair dryer design has not advanced in more than 60 years.Frustrated with the limitations, Dyson engineers set out to solve these problems. 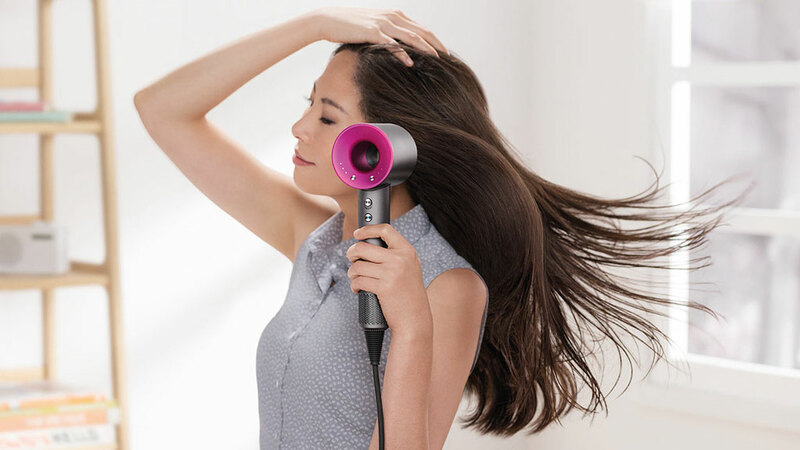 The Dyson Supersonic™ hair dryer uses a fast but focused airflow, is engineered for balance in the hand and intelligently controls the temperature to help protect hair from extreme heat damage. Dyson has invested over $71 million in the development of the Dyson Supersonic™ hair dryer including creating a state of the art laboratory dedicated to investigating the science of hair. Dyson engineers studied hair from root to tip, understanding how it reacts to stresses, how to keep it healthy and how to style it. Over four years they tested the product on different hair types and built test rigs, which mechanically simulate hair-drying techniques, which can differ around the world. To date over 1010 miles of real human hair have been used in testing. The Dyson Supersonic™ hair dryer is powered by the patented Dyson digital motor V9, created in-house by a team of over 15 motor engineers specifically for this machine. It’s Dyson’s smallest, lightest, most advanced digital motor and is up to eight times faster than other hair dryer motors and half the weight. In addition, because the Dyson digital motor is engineered to be powerful yet compact it is small enough to be positioned in the handle rather than the head; because of this the machine is engineered for balance. Most conventional hair dryers have the motor in the head of the machine. 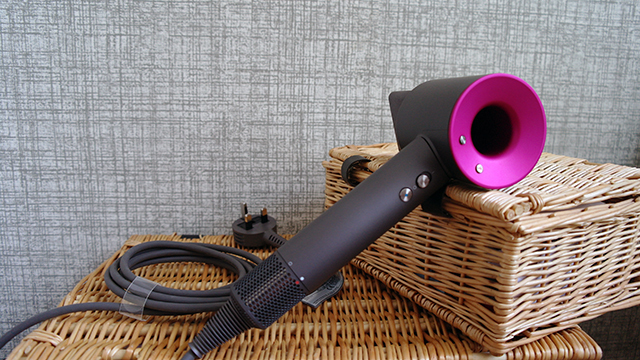 Some conventional hair dryers can reach extreme temperatures, especially when held close to your head. This can cause extreme heat damage to your hair. The Dyson Supersonic™ hair dryer has intelligent heat control, helping to ensure hair isn’t exposed to excessive temperatures. A glass bead thermometer measures the temperature 20 times a second and transmits this data to the microprocessor, which intelligently controls the patented double-stacked heating element. 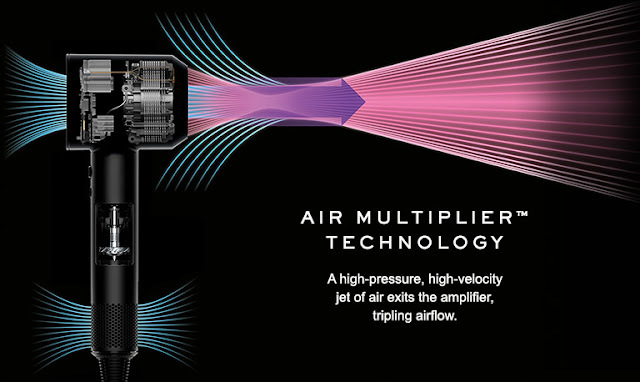 The Dyson Supersonic™ hair dryer uses Dyson’s patented Air Multiplier™ Technology where the volume of the air drawn into the motor is amplified 300% due to this technology, producing a high pressure, high velocity jet of air. 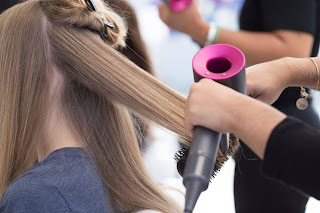 Traditional hair dryers can sometimes have a weak airflow, meaning they are slow. Others can have strong airflow, but it is not necessarily controlled. The Dyson Supersonic™ hair dryer creates a focused jet of air, angled at 20° for controlled, precise drying and styling. Allowing you to dry and style at the same time. A team of Dyson aero-acoustic engineers sought to understand how the acoustics of this machine could be optimized. By using an axial flow impeller inside the motor they have simplified the pathway of the air reducing turbulence and swirling. And by giving the motor impeller 13 blades instead of the usual 11, Dyson engineers pushed one tone within the motor to a sound frequency beyond the audible range for humans. Also, because the motor is small and compact they have been able to embed it in the handle, surrounded by acoustic silencers to further reduce sound. The Dyson Supersonic™ hair dryer is a hair dryer engineered to reduce noise, without compromising on speed. · The Dyson engineered smoothing nozzle dries hair gently, using smooth, wide air, allowing you to dry and style at the same time. 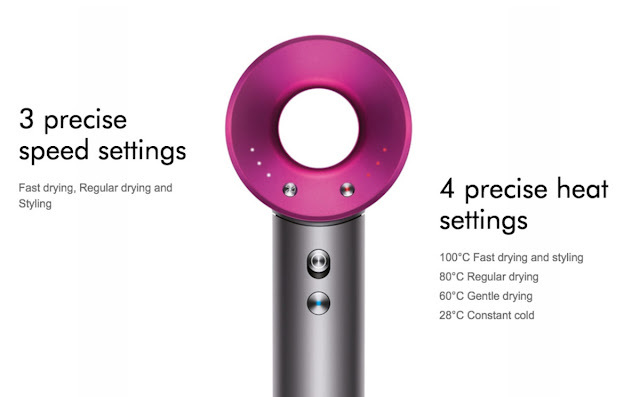 · The Dyson diffuser is engineered to disperse air evenly around each curl. It simulates natural drying, helping to reduce frizz and improve definition. · And the attachments remain cool to the touch. Using Heat Shield technology the hot air is contained within a sandwich of cold air meaning the surfaces of the attachment stay cool. · Being magnetic, each nozzle is easy to attach and adjust. · There are multiple settings including constant cool to set your style; four heat settings, three airflow settings and a cold shot too. 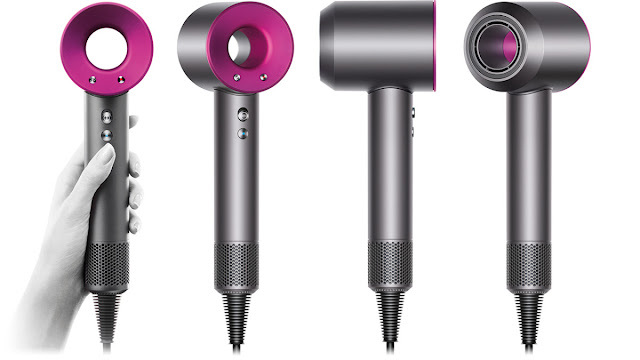 The Dyson Supersonic™ hair dryer has a unique heating element. In order to fit the format of the machine Dyson engineers needed to develop a double stacked, inter-wound heating element with a hole through the middle. Competitor machines often use flat sheets of Mica slotted together in a Christmas tree shape, wire is then wrapped around this structure. 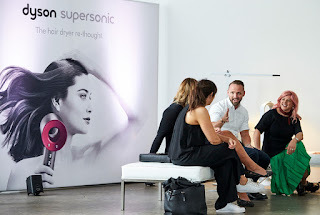 Like their vacuums, air purification fans and even lighting products, Dyson’s Supersonic hair dryer sets the standard in terms of both style and functionality; looking forward to see you at our Century City showroom on June 14th-15th 2018 so you can view these trend-setting products in operation for yourself in relaxed, informative, low-pressure (and quite possibly, hair-raising) demonstrations by Dyson representative.